The Birmingham canals have evolved from their role as the beating heart of the industrial revolution to be a charming hub of culture and relaxation for all the family. Birmingham canals remain a central point of the city and it’s no wonder that locals often proudly boast Birmingham ‘to have more canals than Venice’. 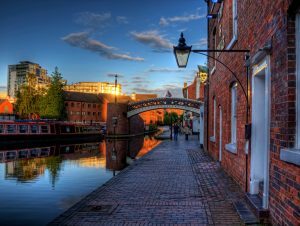 With a junction in the trendy city-centre Gas Street Basin, the Birmingham Canal Navigations (BCN) stretch for over 100 miles and continue through Sherborne Wharf Marina and onwards through picturesque tunnels and junctions towards peaceful countryside. The canals played a crucial role during the industrial revolution when raw materials, such as coal and iron, were shipped on the canals. The first canal to be built was the Duke of Bridgewater’s Canal which was completed in 1761 and used to transport the Duke’s coal all the way to Manchester. Transportation via the canals continued until the advancement in roads and railway technology meant it was quicker and cheaper to transport goods over land; Cadburys were the last to stop transporting products from their factory in Bournville and all commercial traffic finally ceased in 1980. More recently however, many of Birmingham’s canals have been restored and are a source of heritage and interest for all those who visit. The recently restored Roundhouse has been described as “a hidden gem at the heart of the canal network” and is the perfect example of heritage in the city centre. The incredible horseshoe-shaped Roundhouse is now a Grade II listed building, having been originally built in 1874 as stables for the horses which worked along the canals. Running ‘walkshops’ throughout the year, the Roundhouse is a base from which visitors can enjoy the opportunity to further explore the canals on foot or by boat and hear more about the local stories and legends surrounding the canals. Next to the Roundhouse is The Distillery, a bar and restaurant with its own courtyard and gin terrace. With an onsite micro gin distillery, this is the perfect place for visitors with a keen interest in good food and alcohol. There are many other local canal boat trips available (Sherborne Wharf Ltd is one such company) which provide fascinating commentaries into the past of the canals whilst watching the local sights pass by. 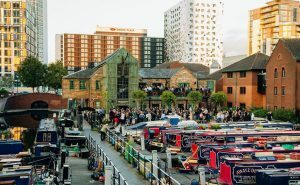 One of the most popular ways to enjoy the Birmingham canals is an evening spent visiting the numerous bars and restaurants for which the canals provide the perfect backdrop. Brindleyplace is a popular location for business and leisure, with many bars, restaurants, and cafes, and is named after James Brindley, one of the pioneering canal engineers. The Mailbox in Gas Street Basin is a trendy centre of luxury shops and restaurants overlooking the canal as well as being home to the cosy Everyman Cinema, making it the perfect location for an evening out. The canals provide the perfect backdrop for peaceful walks as an escape to busy city life. For keen wildlife spotters there are many ducks, swans, and coots, and you may even be lucky enough to spot a Black Redstart or Peregrine Falcon. There are many access points onto the canal routes which locals, students and visitors alike use on summer evenings for jogging or cycle rides, many starting in the city centre with paths weaving towards more open countryside. There is a huge range of local pubs and restaurants (such as The Canal House or Tap & Spile) which are a great spot for a breather to pick up a drink or food. For well-seasoned narrowboat owners, the Birmingham canals provide the perfect get away whether you’re looking for the peace of countryside walks or fancy mooring up closer to the buzz of the city. To discover more local heritage, the canals also wind through the Black Country, where a family-friendly trip to the Black Country Living Museum can be planned into your cruising route (UK Canal boating suggests a seven night cruise with two days to take in the sights of the city centre and museum). The open-air museum is a reconstructed canal village with attractions such as workshops and a mine where you can learn more about life in the black Country over 300 years ago. For licenced paddlers there’s also a canal trail from Cambrian Wharf ten miles to Shirley Drawbridge to be enjoyed. For those looking for something a little bit different, why not enjoy breakfast on a narrowboat? The Floating Coffee Co offers a hearty full English on board their narrowboat which can be found moored up at Brindley Place (from where you can also pick up the Waterbus service). Alternatively, an Away2dine restaurant boat may be just what you’re looking for when hosting your next party or corporate event. The floating market held by Birmingham Canal Traders outside the Barclaycard Arena is the place to pick up all sorts of unique gifts from an even more unique kind of market (for more regular updates on the dates and locations of markets follow the Birmingham Canal Traders on social media). The canals truly are one of Birmingham’s hidden gems and attract those who are looking for a bit of peace and relaxation, as well as the buzz of city nightlife. The Canal & River Trust have a useful website where you can find out more practical information about visiting the canals and download maps, or visit the Canal & River trust office located on the towpath at Cumbrian House. 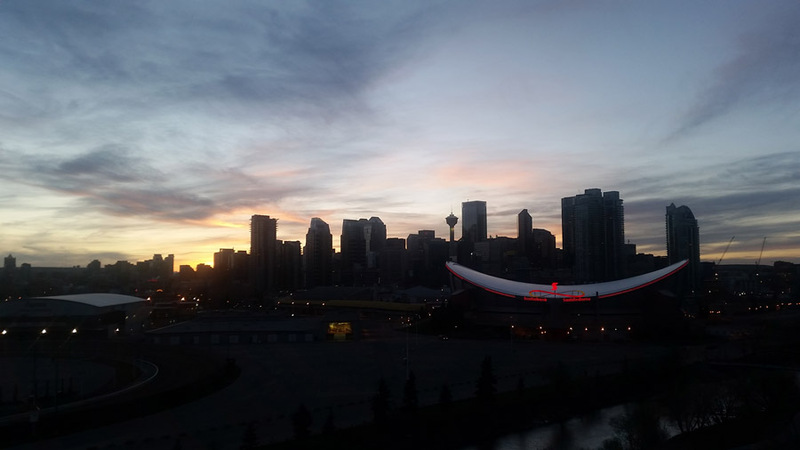 If you ever find yourself heading west in Canada, you’ll likely find yourself stopping in Calgary. The largest city in the province of Alberta with 1.4 million residents, it traces its origins back to a fort built as a focal point for the growing ranching industry. This can still be enjoyed today through the yearly Calgary Stampede. This event is a weeklong series of rodeos, chuck wagons, animal shows and various other events taking place each July – I unfortunately wasn’t around for this but many locals have insisted I return to experience it fully. But they have warned me that this might not come cheap so if you do plan to come best be prepared to spend a bit more than you expect. However, Calgary as we see it today really can thank the oil boom of the mid-20th century for what we see today. It is thanks to this that Calgary is modern, sleek and full of a fairly young crowd who work in oil and its related industries. Thanks to this there are a number of good bars and restaurants throughout the city, including the National, a perfect spot to spend a sunny day due to its rooftop terrace nestled amongst the skyscrapers. The patronage of these is often a good barometer of the strength of the oil industry, with it not being overly busy when we were there. The local people are generally very friendly, especially to tourists, and whilst the stereotype of Canadians being nice may not hold true as often in places like Quebec or Ontario, it certainly does in Alberta. However, if you take a trip up the Calgary tower you will see the real gem of Alberta in the distance to the west. 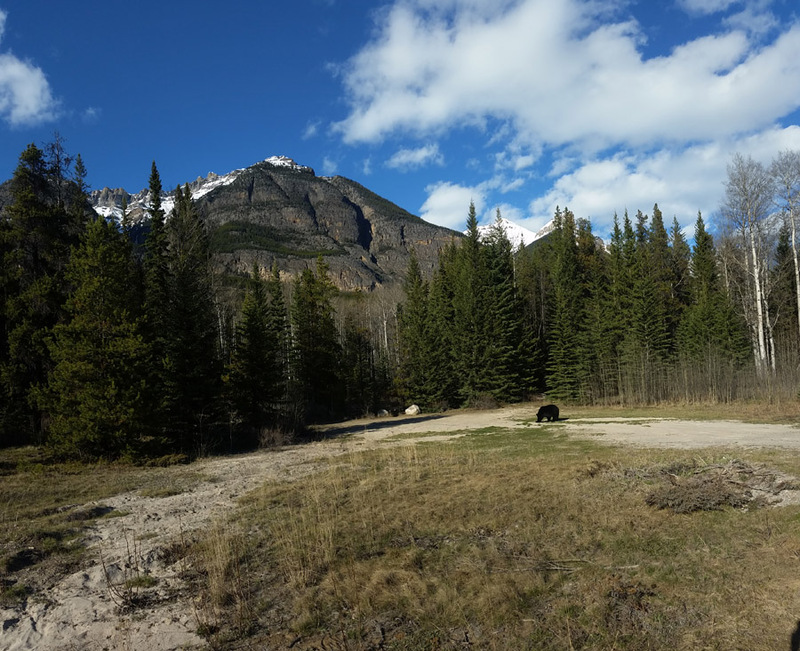 The Banff and Jasper National parks, located in the Rocky Mountains, a chain of 3000 miles stretching down the North American continent may seem small from this distance but in under 2 hours’ drive you will be well into the peaks. And it is well worth the drive. If you’ve ever been to the Alps or New Zealand you will know that driving through mountain ranges is incredible, but Canada raises the bar with enormous peaks soaring over towering pine forests and wide blue and green lakes (though you can expect to see these frozen well into the spring, but this doesn’t detract from their beauty). Lakes such as Lake Louise, Lake Minnewanka and Emerald Lake (the last one being just over the provincial border into British Columbia) really foster a greater appreciation of natural beauty and although the phone and internet signal may often be poor, in some ways this isolation only magnifies the spectacle. But the sights on any travel site are not really what made this trip memorable for me. What I loved was how on every single turn of the road there was something new to see of breath-taking beauty and sheer scale. If possible I’d fully recommend hiring a vehicle to do this trip as it gives you the freedom to explore and plan your own route. 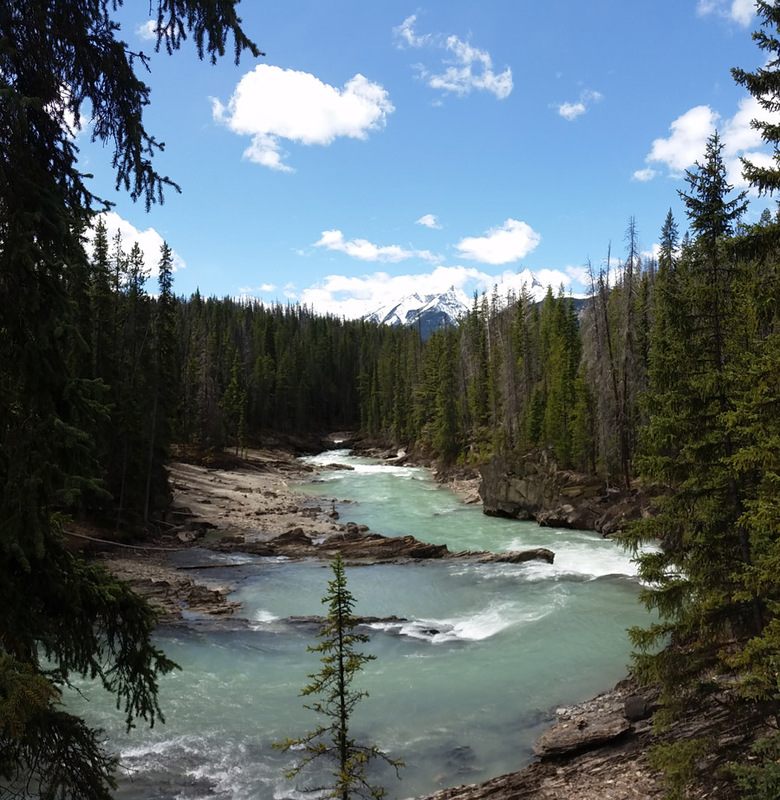 We stopped by at waterfalls which weren’t marked on any maps, saw bears, wolves and deer crossing the roads (though these are mostly harmless pending some mutual respect and common sense) and stopped to hike over glaciers, mountains, canyons and beaches. In this way we were able to make our own adventure, with many stops throughout the day to take photographs and explore. However be warned that if you’re tight for time this will be infuriating as it does feel like a waste to not fully enjoy this place. Weather is another factor that needs to be taken into account as during the winter (and after accidents such as a rockslide that happened a few days prior to our trip), many routes can be much more difficult to traverse. However, locals are more than happy to suggest alterations as to not overly impede your enjoyment. Nestled in amongst these natural beauties are smaller towns such as Banff and Jasper, which offer year-round bases for skiing in winter through to road tripping in the summer. Aside from offering a range of places to stay, bars, clubs and restaurants, they are also full of people from all over the world, both visiting and working. For those wanting to spend a little longer in this area many places appeared to have British, Australian and European staff, so this is well worth a look. These areas, whilst a little touristy (and thus with more inflated prices) do offer good bases from which to explore the surrounding countryside. It does however mean that everyone you meet will have interesting stories to tell you and will be able to recommend you visit places you hadn’t heard of before, and as always companions to have a drink with in a bar or over a campfire. In some ways these folk were what made this trip so special for me. We had the chance to both stay in a regular hostel and to camp outdoors. Both were interesting options but camping is certainly not for the faint hearted! Never mind the ever-present worry that some sort of wild beast is lurking somewhere just out of sight (meaning you need to be especially careful with food and rubbish – a little disconcerting to say the least! ), even into May we awoke one morning to snow falling outside the tent. But to wake up ad be immediately in the great Canadian outdoors was for me a very special experience that I would love to repeat. Camping in Normandy and Brittany won’t ever have the same thrill to it after this. But this was well worth it – who else can say they? 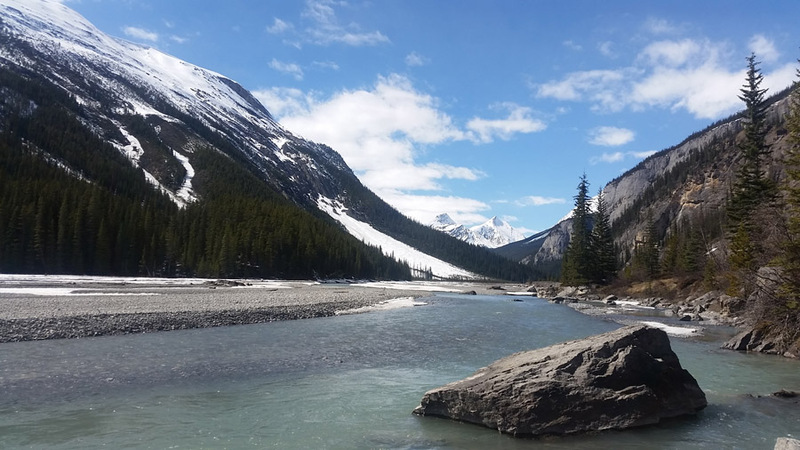 This week spent in the mountains truly was what I expected Canada to be: spectacular scenery, wild animals we in the UK could only expect to see in a zoo, incredibly friendly people and most importantly a desire to go back once again to relive it all. Cities such as Montreal, Toronto and Vancouver may be more accessible, but the wilderness holds many rewards for those who make the journey, and the best part is that I barely scratched the surface of it all. Situated on the St. Lawrence River in the province of Quebec, Montreal is a city that may not immediately jump out at a traveller to North America. However, it has many features that make it a must for a trip across the pond. It is easily accessible both from major hubs including New York, Boston and Toronto, as well as the UK (with budget operators opening affordable routes there in recent years), Montreal is the world’s 2nd largest French speaking city after Paris. This may seem daunting, but given most people are bilingual, it’s not difficult to get by without the language. That’s not to say that trying to speak French isn’t appreciated, but it can often be a frustrating place to attempt to practice – more often than not you’ll find yourself switching to English mid-conversation as locals cotton on to the fact you aren’t fluent. If you wanted one word to describe Montreal, it would have to be ‘unique’. 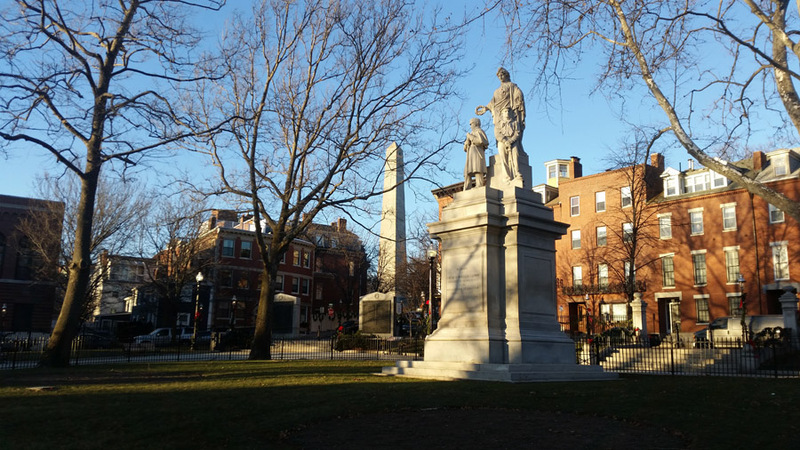 It’s an eclectic blend of European and American – too busy to be a quiet European town but with too much character to be a grey American metropolis. Summers are hot and humid, winters see temperatures drop to lows of negative 30 Celsius and snowfalls well into March and April, autumns are pleasantly warm with beautiful nature on display and spring is almost non-existent with rapid and unpredictable shifts between hot summery days and sudden drops in temperature ensuring winter won’t be easily forgotten. You’ll see and hear French everywhere, and Montrealers take pride in the uniqueness of their history and culture and within Canada it sits apart. Even within Quebec, as a city with several English universities and large English speaking enclaves, Montreal carves out its own niche as a diverse, vibrant and multicultural space – perfect for visitors. At a push you could see most of Montreal’s tourist sites in several days; Mont Royal, with its gentle forest hikes to the skyline lookout platform, is a year round treat (but autumn is especially enjoyable with the changing leaves and cooler temperatures making for an incredibly pleasant experience); Vieux-Port’s grand French architecture, quaint shops, the impressive Notre-Dame Basilica and cobbled winding streets mean you’d be forgiven for thinking you’d hadn’t even left Europe; the Biodome in the converted 1976 Olympic Velodrome offering visitors an experience of the major ecosystems and climates of the Americas; the botanical gardens as a place to relax and explore; and St Catherine’s many shops and malls satisfying your inner shopaholic. Montrealers are obsessed with hockey and the whole city is solidly behind their beloved NHL team: the Canadiens (otherwise known as the Habs). It’s impossible to walk around town without seeing their logo plastered everywhere. Even if you don’t follow the sport or know the rules, catching a game is well worth the hassle of getting last minute tickets: the atmosphere is brilliant and the entertainment constant. Just pray they win though as leaving the stadium into the freezing winter night with a lot of upset fans isn’t fun! However, the real joy of the city is taking time to delve into its nooks and crannies for its hidden treasures. Montreal was designated the world’s best study abroad city in 2017 by QS and is home to the highest number of students per capita in all of North America, hence entertainment is never in short supply. Notable places to explore are the Gay Village, Mile End, the Plateau, Crescent Street and St Laurent Boulevard, all boasting many cool little bars, impressive street art, clubs and eateries aplenty to cater to all tastes. For a classically Montreal experience, try the local speciality of poutine, best experienced at either Pitati Pitata or La Banquise, forever competing to be the people’s favourites. Schwartz and Dunn’s both offer their take on the other Montreal specialty of smoked meat. Café Chat l’Heureux is another off the beaten path spot serving delicious vegetarian food and coffee, but more importantly was the first dedicated cat cafe in North America. It is home to adorable resident cats and playful foster kittens – give yourself a while here though as you’ll absent mindedly pass hours with the cats if you’re not careful. 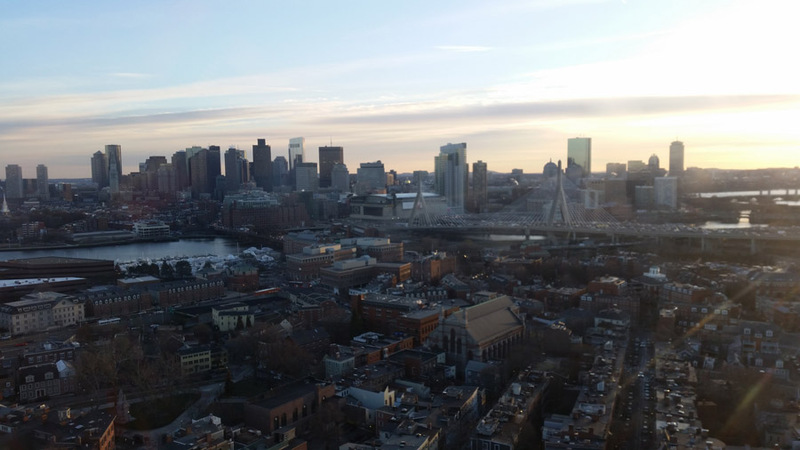 That’s also not to mention places such as Warehouse, Fairmount Bagels, Modavie Bistro, the Keg Steakhouse and Brigade Pizzeria among a plethora of other great dining experiences. Moreover, Montreal is home to innumerate events throughout the year – over the summer it is home to many festivals including the renowned Jazz and Comedy festivals. The winter months don’t put a stop to this though – in fact one of the most unique experiences you can have here is during January’s Igloofest (a dance and EDM festival located outside in Old Port where packed crowds and exuberant dancing are your means to ward off temperatures well below freezing). Bars such as TRH Bar and L’Escalier also offer you memorable experiences, albeit for very different reasons; the former a dimly lit dive bar with a skate park in its centre, where you can witness competing boarders try to outdo each other’s tricks; the latter an intimate pub famous for its live folk music. 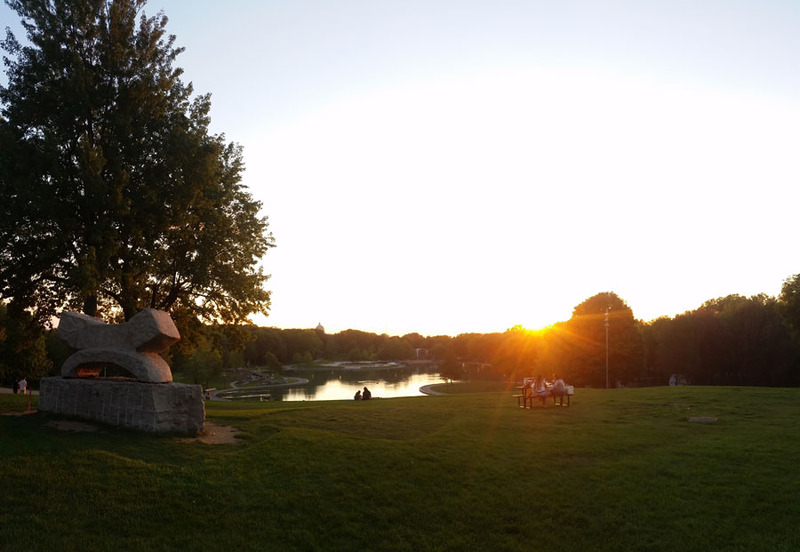 This is best experienced with Monday night gatherings of local musicians jamming out traditional Quebecois tunes. 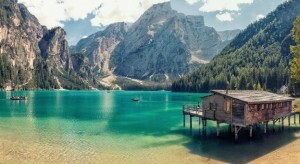 These are but a few of the multitude of places to while away your holiday, and many more are out there waiting to be discovered. 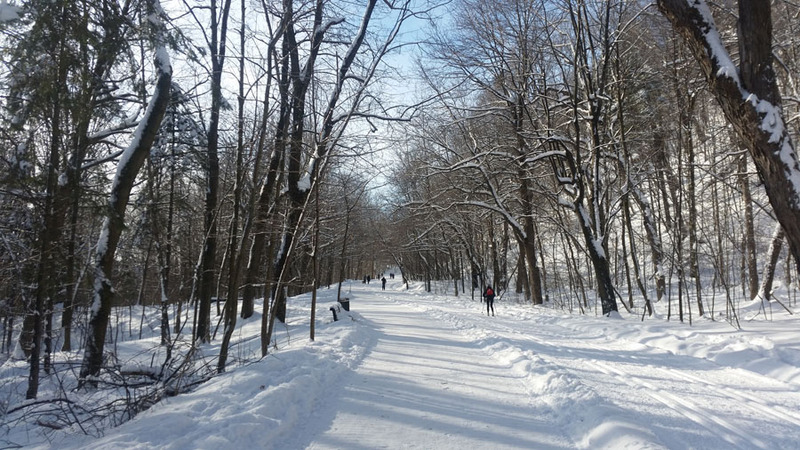 Whilst it may not be the most obvious choice, there are plenty of good reasons to make Montreal the location for your next getaway, and whatever you do there you’re sure to have an adventure and discover something truly special that you’ll want everybody to see too. With exams quickly approaching and deadlines looming I decided to quickly and effectively solve all my problems by doing the responsible thing: going on a study break. Why Scotland? It is a well known fact that Scottish weather is ‘freezing’ at best, and it does take a few hours to get on the train. But, I can wholeheartedly say that a trip to the Scottish capital is worth taking a couple of extra layers. We began the trip by taking a short stroll down Prince’s Street to The Principal Hotel, where we decided to stay. In short the Principal is a beautiful, comfortable place to stay with attentive staff and a complimentary treat box- just in case you need a bit of energy before you explore what Scotland has to offer. In my case- being a self-confessed foodie- I was interested in trying out the ‘local cuisine’. So I visited The Rose Brewery, and sampled the Haggis, Neeps and Tatties along with a couple of the ‘authentic’ gins to get the full experience. Even though Haggis is, unsurprisingly, available throughout Scotland, I wanted to try a pub Haggis to see if you could get good quality Haggis on a budget. And, if a country’s cuisine is only as good as its pub grub, then Scotland started strong. 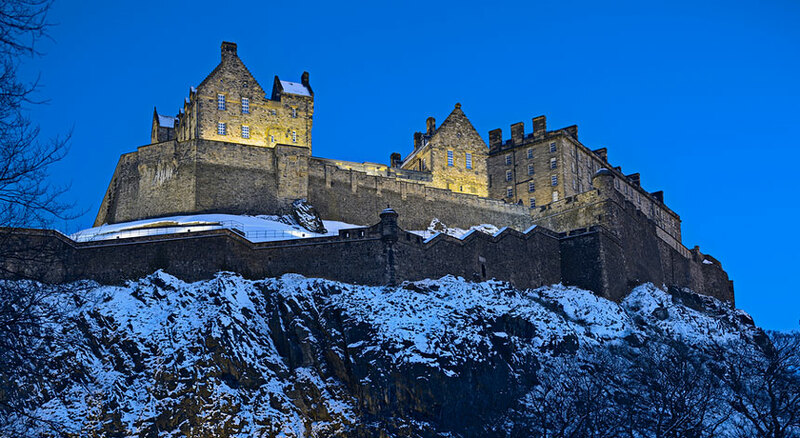 If you’re inclined to do some sight-seeing in Edinburgh, a trip to Edinburgh Castle is a staple of any trip to the north, as it boasts incredible views of the Old and New Town. Alternatively pop to the RSA for an afternoon of culture, as the gallery holds an impressive collection including examples from Botticelli and Lucas Cranach the Elder. Or, if you would rather appreciate Scotland from the comfort of a department store I wouldn’t blame you- but I would recommend Jenner’s on Prince’s Street if you wanted to stock up on shortbread, and tartan. Whilst I managed to experience a lot of Edinburgh’s attractions over the course of a couple of days, I would wholeheartedly say that no trip is complete without a visit to the Witchery. No, I’m not endorsing witch-craft. The Witchery Restaurant by the Castle is a fantastic gothic restaurant that makes you feel a little bit superstitious as soon as you walk through the door. The entire place glows with candlelight, and creates a relaxing atmosphere for you to enjoy good quality food. Even though it is rather pricey you would have to use black magic to keep me from visiting again. Whilst it may not seem like the easiest way of tackling exam stress, a Scottish weekend break leaves you feeling refreshed, with a new outlook and a stomach full of shortbread. Have you always wanted to visit sunny Italy but you have sadly being put off by the staggering prices that characterise the Italian main cities during most of the year? Say no more, because below you will find how to travel to the country with the most charming accent in the world for around £350 (thanks to careful planning, favourable exchange rates and lower living costs). Alongside organisation, the timing of your travels is of paramount importance if you want to get some jaw-dropping deals. 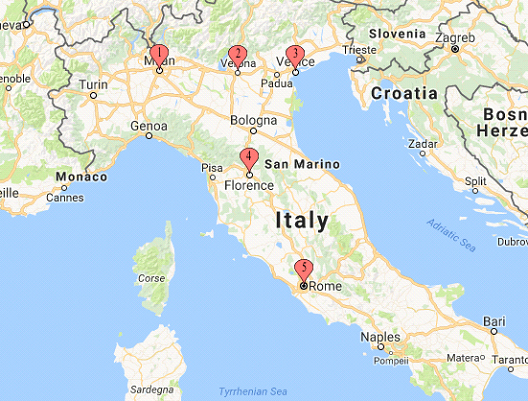 The cities I suggest dropping by are not near the coast (except for Venice, but I bet you do not want to swim in there), so travelling during the summer is not a must. Not only by going during the low season you save up a great amount of money on flights –for example, I booked three months in advance a return flight from London to Milan for 25 pounds– and accommodation, but you will also save yourself from the eternal queues to visit the Vatican or being packed like sardines in St. Mark’s Square in Venice. I would recommend travelling in October, first weeks of November or April, when the weather is warm and sunny, and you will avoid all of the aforementioned. Undoubtedly, hostels are your best option. To save up some money, you can also book in advance, and you will only have to pay a tiny percentage beforehand, around the 5-10%, and then the remaining when you get there. You can even cancel your booking and avoid any fees up to 2 days before your adventures. Prices vary from place to place, but you can expect to spend, on decent accommodation, around 10-15 pounds per night. Because hostels in Verona are quite expensive, there is not much offer and the city is not that big, I would recommend taking an early train, enjoying Venice at night during the second day of your trip and sleeping there for two nights. 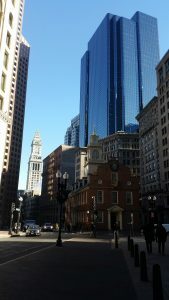 How do I move from one city to another? The cheapest, easiest and fastest way is by train, using Tren Italia. 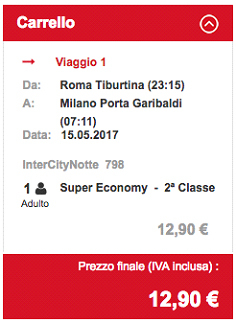 You can get your tickets here (http://www.trenitalia.com/), and the priciest can be up to 15 euros. Two things should be taken into account. The first one is that even if you make a reservation for a particular date and time, you do not need to use your ticket then, but you can do it within the 30 days after the date you purchase it for (ex. If you get a ticket to travel on the 1st of May, you can travel with that ticket until the 31st, but only once). The second one is that, because of this, you need to “validate” your ticket before getting on the train. If the ticket inspector comes and you have not validated it, you will be in trouble. In addition, trains tend to be packed so get to the train station in time just in case you cannot find an available seat! Moreover, I would recommend travelling at dusk when most of the attractions are already closed –they close around 7pm– and it does not suppose a huge waste of your reduced time. And if you travel in the morning, many hostels will not let you check in until 2pm, so you will have to carry your bag with you. The distances between each city do not exceed the 3 hours, except from Florence to Rome and from Rome to Milan. In the latter, my advice is to take the last train available on the 6th day. It takes around seven hours to get to Milan, so this way you save a night at the hostel and have more time to spend in Rome during the day. What do I do in each city? I do think that in less than 24 hours there is time to visit the “must-sees” and a little bit more in each city, if your health allows you to walk fast. To see the main attractions that you will find in every guide about Italy, my suggestion is to join one of the free walking tours that are so popular nowadays. A local will walk you around, give you a short history lesson, share with you some fun facts and you will pay as much as you want to, because they only accept tips! 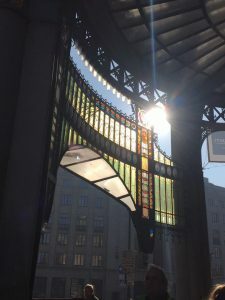 You will find these tours in Milan, Venice, Florence and Rome; and these ones are pretty good (https://www.freetour.com/destination/italy). In my opinion, the best thing about Italy, apart from the food and the weather, is the architecture. In Milan, you should spend some time checking the masterpiece that the Galleria Victor Manuele building is and enjoy some breath-taking views from the Duomo roof. In Verona, go to Castel de San Pietro to get the best panoramic of the city –the Aige river and its multiple bridges, such as the Castelvieggio one, which is the main access to the city centre. In Venice, by taking the vaporetto and line 1, which starts at Piazzale di Roma and costs 7 euros for an hour (29 euros if you get a day pass), you get to see the Grand Canale. 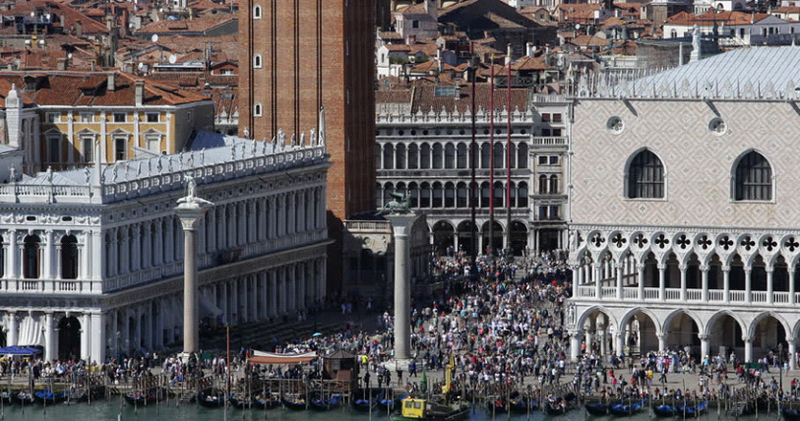 During this 35-minute journey, you can see the well-known Pointe di Rialto, Ponte di Scalzi, Ponte dell’Accademia and the Academy of Fine Arts, Santa Maria de Salute, a huge Baroque church which dates back to the 17th century as well as many palaces, such as the Palazzo Corner della Ca’ Grande, a good example of High Renaissance architecture in the city. In Florence, even if you are not a massive art fan, do not leave without spending at least three hours at Galleria degli Uffizi, one of the largest and best known art galleries in the world. Not only it is an incredibly beautiful palace, but it also holds impressive collections, particularly from the period of the Italian Renaissance. Among other artwork, you will be able to admire “The birth of Venus” by Botticelli. And finally, in Rome, definitely visit the Vatican. Enjoy a good panoramic view from St Peter’s square and visit the breath-taking and unforgettable St. Peter’s Basilica and the amazing museums, such as the Michelangeo-decorated Sistine Chapel. You should also visit Pigneto, Rome’s best alternative neighbourhood where you will find loads of chic restaurants, cafés and shops or walk to the Giardino degli Aranci to get some nice views of the city. Hope you have found this article useful and…divertiti in Italia! Whilst they were not wrong- a bottle of water costs roughly £1, whereas the cheapest brand of beer is 80p per pint- it is almost wrong to just see Prague as a cheap getaway location for a quick break. 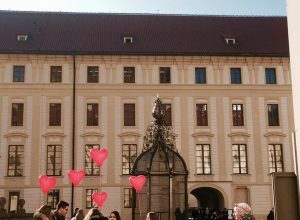 I was lucky enough to experience the sights and culture in Prague recently, and even though the trip was incredibly kind on my wallet, I can confidently say that the city is priceless. 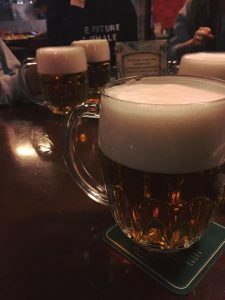 We stayed in a small hotel called Oslanka, which was surrounded by small pubs and restaurants that serve cheap beer and traditional Czech dishes (Goulash, dumplings, and steak) and a tram stop. One of the great things about Prague is the cheap and convenient trams, which run to all corners of the city, and make you feel like a local because, unlike the British public, they don’t really care for personal space! Over the course of my trip I paced through the streets of Prague frantically checking my map and trying to make sure that I found my route, but I quickly learned that this isn’t the way that you want to experience the city. In France they have a lovely word, ‘flaneur’, that translates roughly to ‘wanderer’, or someone who can just wander aimlessly throughout a city without a purpose; and, if you’re not trying to stick to a schedule, I’d seriously recommend trying this. The streets are lined with colourful ornate buildings that make you feel as if you just stumbled upon a film set- which you can easily miss if you don’t take the time to look up! The building is the largest ancient castle in the world currently, and if that doesn’t convince you the views will. Then take the time to find the famed ‘John Lennon’ wall- a symbol of rebellion and a passion for peace (as well as an excellent photo spot). Or if you want to sample some of Prague’s nightlife head to one of the small cave bars, like Popo Café Petl, which offers you a cosy atmosphere while you sip on some of the strongest spirits in Europe. Prague drew me in and gave me a taste of why it is such a popular destination- but left me wanting more. If you are looking for a beautiful city with a rich history and stunning (but chilly) sunshine book your trip as soon as possible. *Even though the Trdelnik isn’t a necessary part of this step it definitely makes the walk easier. Copenhagen is the capital city of Denmark and sits very close to the Swedish border, which is accessible by road and rail via the Øresund Bridge. Most people from the UK will fly direct to Copenhagen. From Birmingham the flight is around 1 hour 45 minutes, and then a train to the city centre is around 20 minutes. 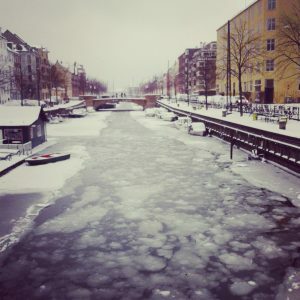 The temperature can be exceptionally cold and snowy during winter and even spring, however Summer offers a completely different ambience with similar temperatures to the UK. There is a great tourist trail in Copenhagen which includes sights such as the wide expanses of shipping canals and the smaller canals which are reminiscent of Amsterdam. Tivoli Gardens are beautiful and worth checking out for the theme park and old fashioned touristic stalls. Christiana is a great place to explore. It survives as a hippy style traveler camp in the heart of a city suburb, with its own rules and laws with a liberal outlook on cannabis and arts/crafts. It can be slightly intimidating with drug sellers wearing masks but these people are actually very friendly, they just do not want to be photographed, it is frowned upon to take photos within Christiana. A unique and fascinating place which may not be there forever as the authorities are keen to limit its existence. 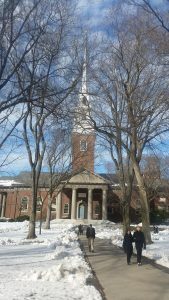 Also worth noting is Church of our Savior which is near Christiana. Visitors can climb right to the top, and then climb outside the steeple with breathtaking views of the city and beyond – not for the faint hearted. Many people will walk or cycle to see the Little Mermaid statue, this is a great route with Rosenborg Castle, Christiansborg Palace, Kastellet military fortress and many interesting side streets with Danish architecture en route. The Carlsberg Museum is also a great attraction with two huge stone elephants and a guided tour of the brewery. There are many bars and restaurants too in Copenhagen, the main touristic route exists as the many side streets off the city centre, however is is also worth visiting areas like Vesterbro (check out Meat Packing District and Bang & Jensen bar) and north of the city centre is Norrebro. 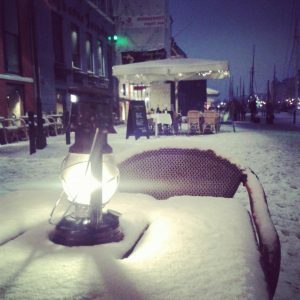 Whether you visit Copenhagen in winter or summer, you will find a bicycle friendly city with friendly happy inhabitants and a very laid back attitude with little crime or anti social behavior. Located in La Plagne Montchavin Chalet Dolomites is a traditional Alpine chalet. The chalet sleeps 8 -11 people in 4 bedrooms and has its own hot-tub with a great view of the piste – great after a full day on the slopes. Dolomites could not have a better location, it is perfectly located at the foot of the piste in the village centre, with easy access to the Vanoise Express link between La Plagne and Les Arcs. This chalet is full of character and perfectly designed for families. Book this chalet during October and benefit from 15% off your holiday price. To take advantage of this exclusive offer call the team today on 0203 411 5439. Holiday booking company Lowcost Travelgroup has gone into administration, as uncertainty ahead of the EU referendum and the fall in the pound were blamed for its demise. Smith & Williamson and CMB Partners were appointed administrators after the firm’s own rescue attempts failed. Those “exhaustive” attempts had been “hampered by the recent and ongoing turbulent financial environment”. Customers’ flight bookings will be valid in almost all cases, but hotels will need to be paid for, a company spokesperson said. Smith & Williamson said intense competition had caused the collapse but also the increased terror threat and the uncertainty before and after the recent referendum. “The group experienced significant market headwinds in the run up to the EU referendum as holidaymakers delayed decisions. This was compounded by the Leave vote itself and the subsequent fall in value of the pound,” said Finbarr O’Connell of Smith & Williamson. The group operated a travel agency business from headquarters in the UK and offices in Spain, Switzerland and Poland. The administrators said 60% of customers were British. Full article on BBC here.